53% of respondents did not know that an electric car can be charged from a domestic socket, and respondents of all age groups assume electric cars as “expensive” The survey conducted by research agency Savanta on behalf of Encore Digital Media, appears to have been exclusively focussed on the private purchase of electric cars. Inhibiting the purchase of privately owned electric cars, infrastructure and the time it takes to recharge were cited by 42 % of respondents as a perceived hurdle, while 34 % said they lacked information. This was also evident in the fact that the majority of respondents were not aware that they could charge electric cars from domestic sockets. The survey makers reported that 18% of respondents had a “very low awareness” of electric cars, but that 59 % said they would like to find out more. More than 60% did not know that electric cars offer brake energy recuperation and 20% were not aware that tax benefits were available to those buying electric cars. Just over half (54%) of respondents in the over 55s age group considered electric car technology to be experimental and 70% consider the technology “unproven”. Even with an “improvement in technology”, less than a third (28%) said they would consider buying an electric car. No details were mentioned regarding car and ride sharing of electric cars. Regarding the expense of privately owning an electric car, respondents of all age groups considered electric cars “expensive”. 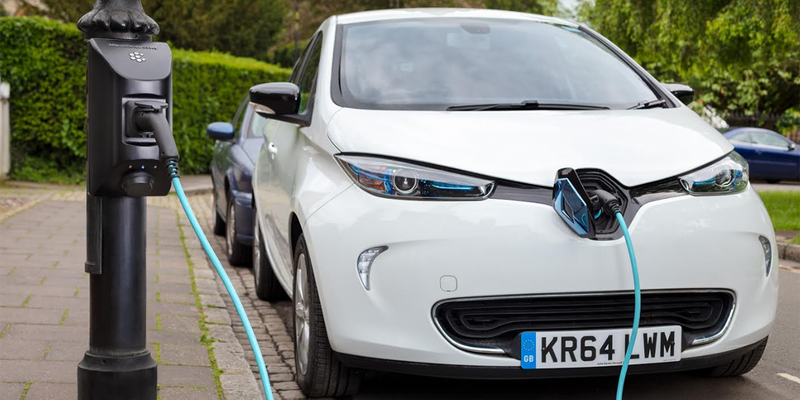 Concretely, the average respondent would spend £14,000 on a car, whereas the average electric car available in the UK costs around £32,000. Only 11% of respondents would be willing to pay more than £35,000 for an electric car. This may also lie with the availability of cheaper electric cars in the UK and that the most expensive brands were also the most known: The most known brand is Tesla, which 40% of respondents recognised, while the second most famous electric brand was BMW – which was only known by 18% of respondents. Other brands received recognition from just 15% of respondents or less. People in country areas were almost as interested in electric cars as those people living in cities. Despite the perception of “electric vehicles” being a mode of transport most appealing to city dwellers, there was an interest in purchasing electric cars in towns (59%) and villages (55%). This is in contrast to just 3% more in terms of the level of interest registered in cities. Age seemed to be a detracting factor in the uptake of purchase of electric cars; those over 55 years old were the most difficult to convince. Generally, those under 25 years old were more open to electric cars and more often cited environmental concern as a significant motivation. In sum, cost seems to remain a common thread throughout with 63 % of respondents saying that lower running costs were a major motivation towards privately purchasing an electric car.